Matt Lauer’s relationship with his wife may still be in question, but he didn’t spend Christmas alone. Paparazzi photos show Lauer walking into a horse farm in Sag Harbor, New York, before Christmas. His wife, Annette Roque, was also there. Since Lauer was fired from Today amid allegations of sexual harassment, his already rocky relationship with Roque has looked like it might be over. They’ve been seen in public without their wedding bands in recent weeks, and Roque’s father told reporters she “is not going to stay” with Lauer after the scandal. This isn’t the first time Lauer and Roque have seemed on the brink of divorce and then pulled back, though. In 2006, while Roque was pregnant with their third child together, she actually filed for divorce from Lauer. Three weeks later, she withdrew her divorce petition and later gave birth to their son, Thijs. 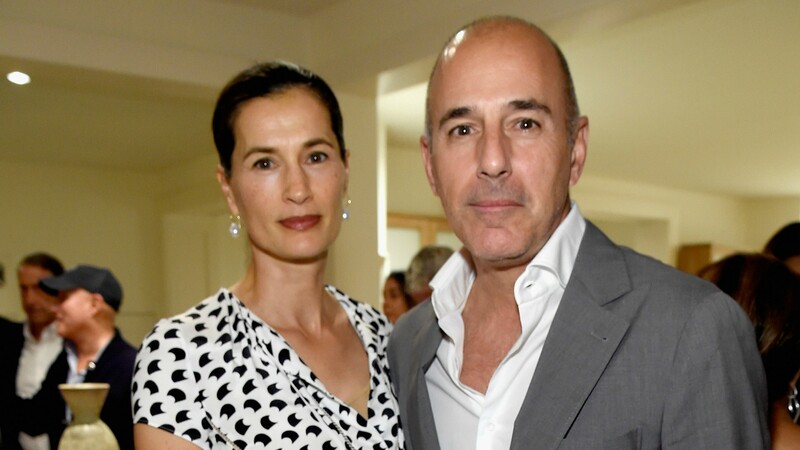 They’ve been together ever since, and there have been no serious rumors about their relationship ending until this year following the allegations made against Lauer. So, did Christmas bring them back together? Or are they still planning to split, but co-parenting their three kids together? We have a lot of questions about this situation, but for now, neither Lauer nor Roque is talking. It could be a while before we get any real answers about the future of this couple.